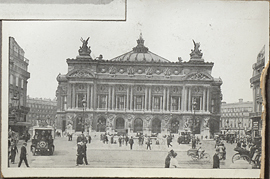 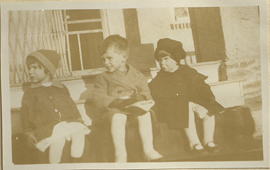 Penfield and Bazett Children on Steps, photograph. 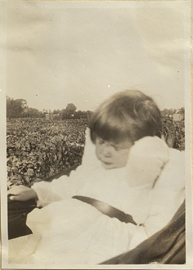 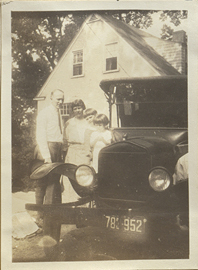 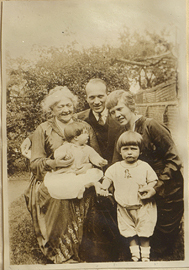 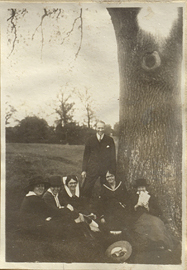 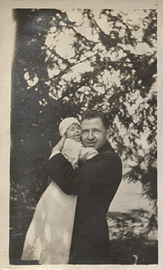 Penfield Family Behind a Car, photograph. 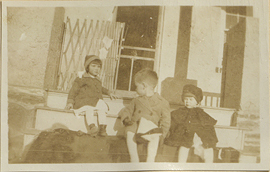 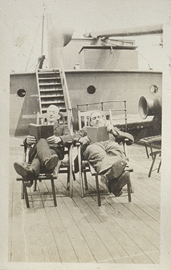 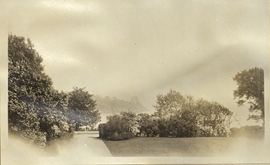 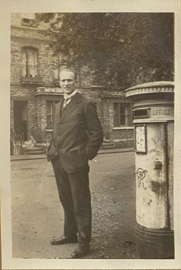 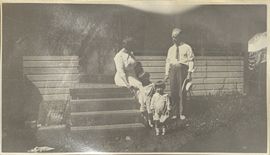 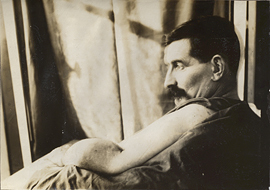 Penfields on a Porch, photograph. 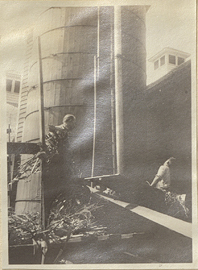 People Filling a Farm Silo, photograph.